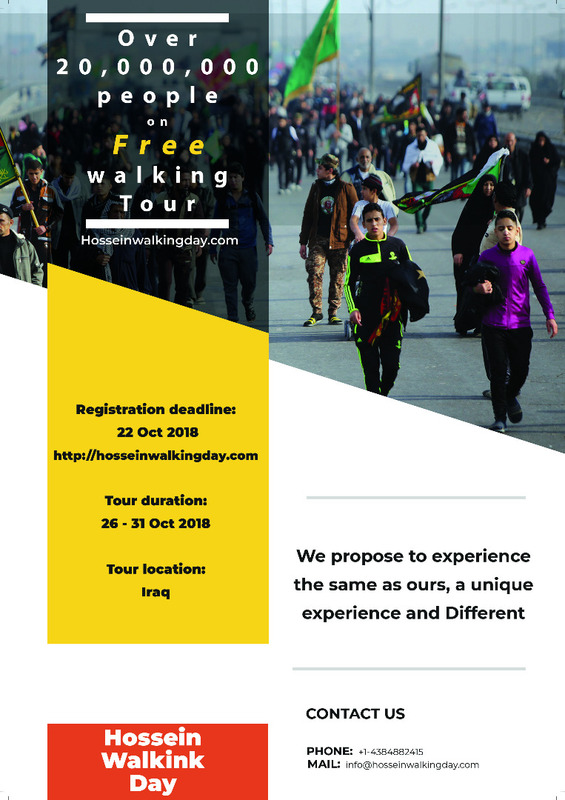 We experienced attending Hossein walking day (Arbaeen Walk), and would like to provide you with the possibility to closely witness the greatest experience of sacrifice and free serving table in the world. You can eat the foods (such as soup, rice, felafel, fish kebab, and different types of fruits) and drink the beverages (such as tea, Nescafe, and mineral water) which are served free of charge, as much as you want. You will never find such a serving table elsewhere in the world..
You will experience a unique sacrifice and generosity which you have not seen before. During this journey, you will witness how enthusiastically the hosts endeavor in a race to serve the guests. Join us to attend the gathering of lovers of gratuity, peace, friendliness, justice, and serving. You will experience in person the meaning of love and philanthropy. This is quite an enjoyable walk for all the age categories. Even children can enjoy Hossein walking day (Arbaeen Walk) and have sweet memories. Several stations have been considered for resting and discussing the topics you like. In these stations, foods and sleeping places are offered for free. No need to hurry. 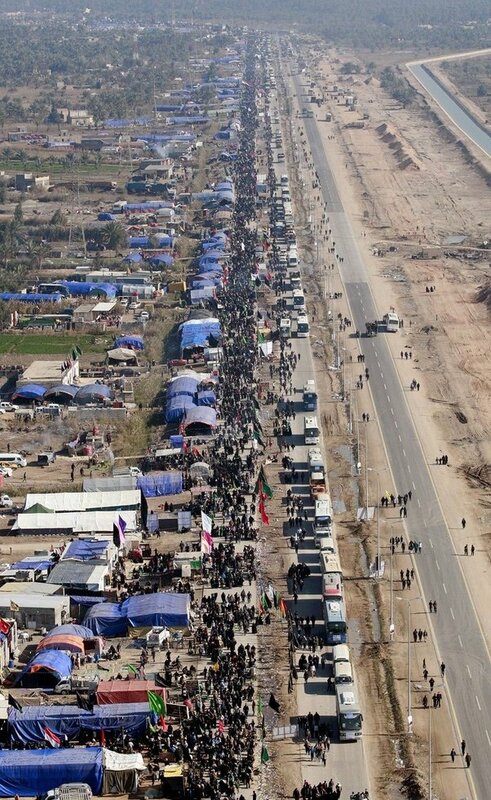 The people who have already experienced Hossein walking day (Arbaeen Walk) will describe it to you. Finally, you will love Hossein walking day (Arbaeen Walk) as we did.